Brennan is using Smore newsletters to spread the word online. 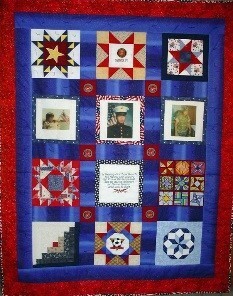 I made a freedom quilt. 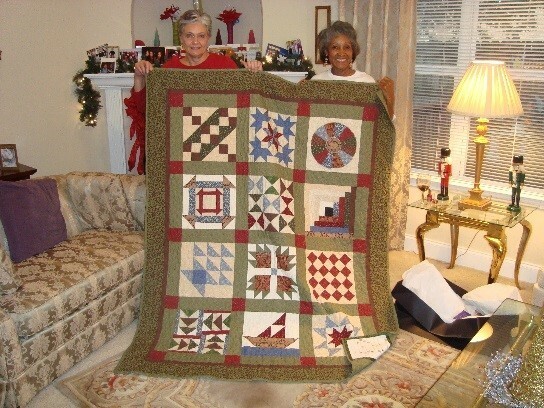 Patterns on the quilts were messages to the slaves. They were made to help the slaves go north to freedom. Drunkard’s path pattern told the slaves to go in a zigzag path so they will lose the slave catchers chasing them. Boxes pattern meant to pack all of the things they needed to go north. The Bears Paw pattern told them were to get food. The star pattern told the slaves to follow the North Star to the north where freedom was. The Wagon wheel pattern meant pack their things on a wagon or backpack. The Carpenter’s wheel meant to run with faith. I research these and I learned a lot. I hope you did.